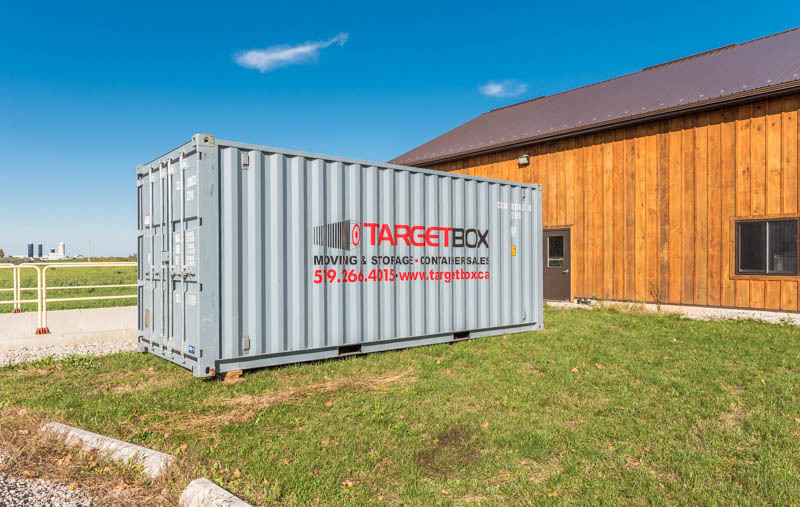 We believe the safety and success of our containers go hand-in-hand, that’s why we enforce safety and security features on our shipping containers, ensuring a safe and enjoyable time with TargetBox. 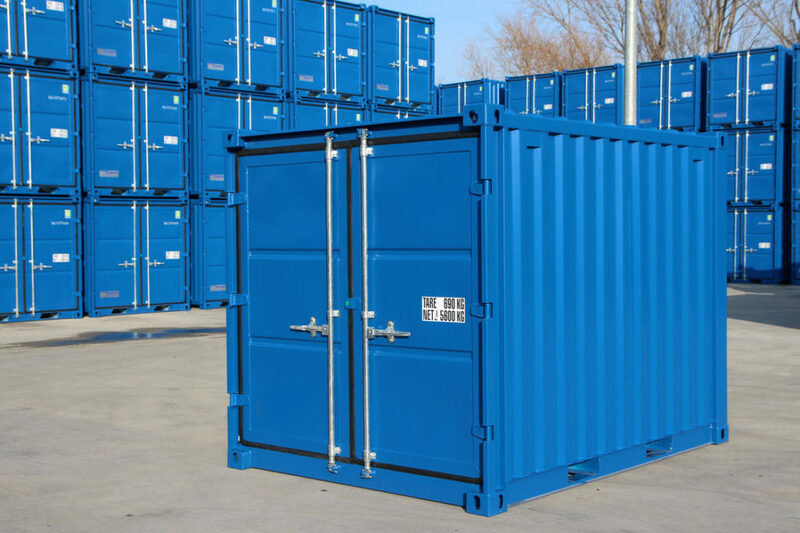 Due to its versatility and functionality, shipping containers are no longer limited for shipping purposes. Portable shipping units were constructed to endure long ocean transport, harsh climates, having the ability to perform in all weather conditions, which makes them the ideal alternative to traditional storage units. Even with their durable structure, there are a few protection guidelines to follow that ensure a sound experience. At TargetBox, we truly believe that the safety and success of a container are equally as important. That’s why we enforce safety and security features on our shipping containers, ensuring a safe and enjoyable time with TargetBox. The safety of our customers and staff are our number one priority, hence the safety measures we take into consideration and most importantly – action. When delivering a TargetBox to your location, it’s vital that there is enough space to deliver and drop of the unit. We look for approximately 60-70 feet of straight space when dropping off our most common size container (8x20ft). If this will be a challenge, make sure to speak to your TargetBox consultant to create a delivery plan. We will also inquire that there are no low overhead wires or that your location is not on a steep slope, as this could make it difficult and unsafe to deliver your unit. Planning on storing flammable materials, chemicals or gases? When storing these items, we will have to integrate a custom container modification, implementing a good ventilation system for your safety. The risks are large if these materials are stored in a container with minimal air flow, and if introduced to open flame or high heat. 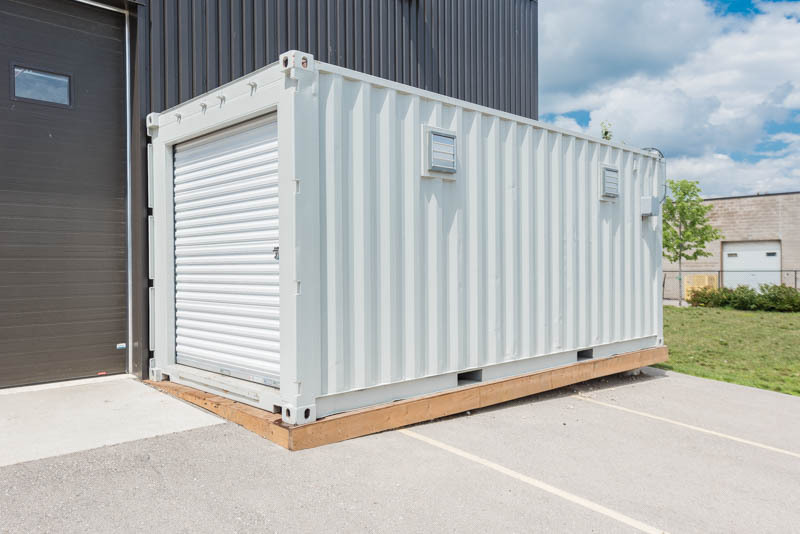 While shipping containers are designed to keep and protect valuable items, increasing security is always recommended. 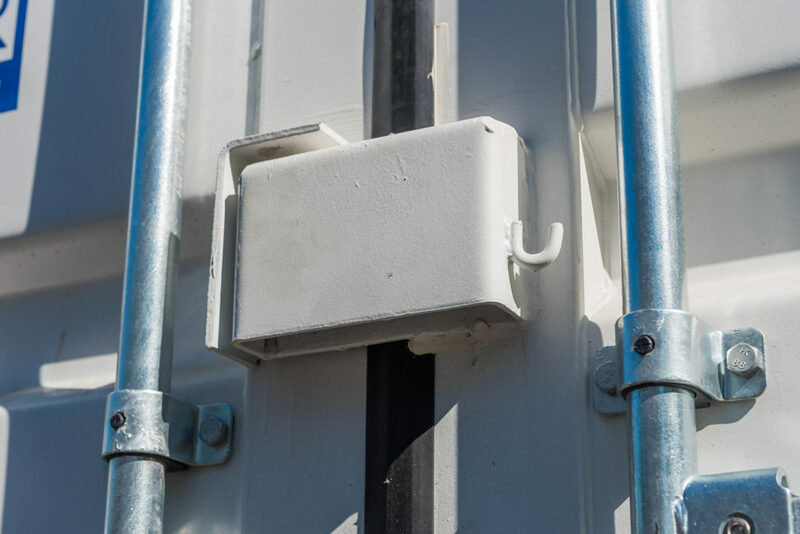 Our units are clean, dry, weather and rodent proof, and our new containers come with a heavy-duty lockbox system. Because TargetBox is continually ordering in new containers, we are always searching for enhanced security features to provide an advanced and secure stay with TargetBox. Here are some features that we have in place that transform a regular shipping container into a TargetBox. Our heavy-duty lockbox is one of our strongest security features on all our shipping containers. This heavy shield protects your lockbox from heavy bolt cutters. Load up your belongings in a TargetBox, with no worries of your personal belongings being vandalized. 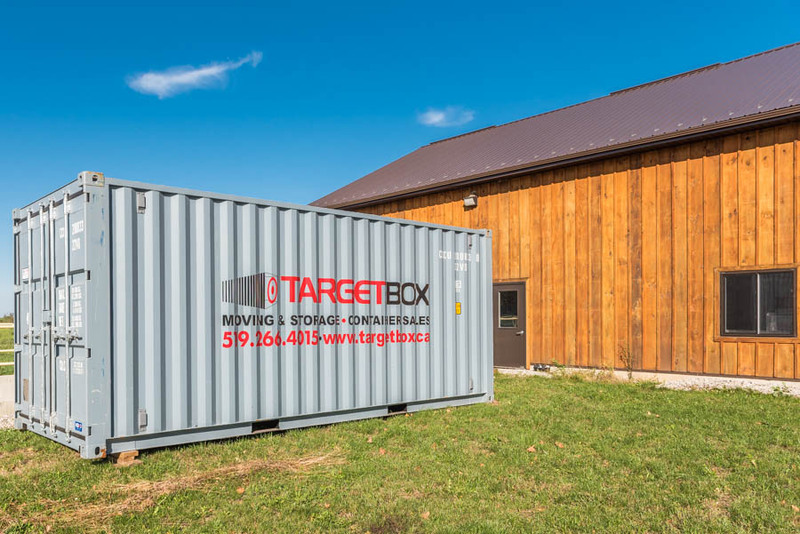 TargetBox’s containers consist of heavy 8-gauge steel, with extra-strong cross members and corner posts. Our elevated floors protect your belongings from moisture and rodents, keeping your valuables safe and intact. If you are looking to store gas, chemicals, or any other flammable materials, our custom modification service allows us to install a complete ventilation system into your unit. This is also handy to prevent large temperature change, allowing the unit to breathe and maintain an average temperature. For more information on the safety & security of TargetBox’s shipping containers, contact us now! Portable shipping units were constructed to endure long ocean transport, harsh climates, having the ability to perform in all weather conditions, which makes them the ideal alternative to traditional storage units. When delivering a TargetBox to your location, it’s vital that there is enough space to deliver and drop of the unit. 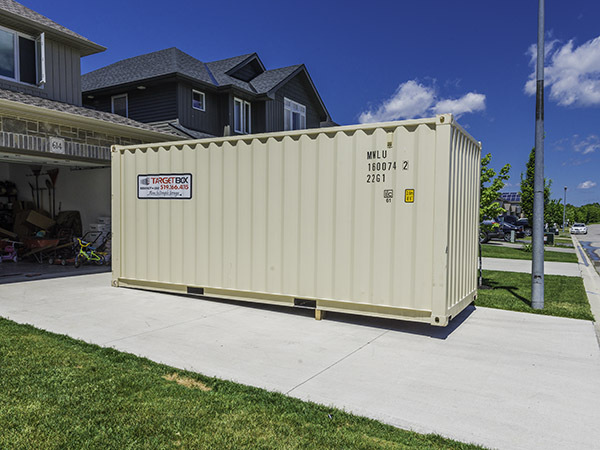 We look for approximately 60-70 feet of straight space when dropping off our most common size container (8x20ft). If there could be a potential challenge, make sure to speak to your TargetBox consultant to create a delivery plan. Planning on storing flammable materials, chemicals or gases? When storing these items, we will have to integrate a custom container modification, implementing a good ventilation system for your safety.